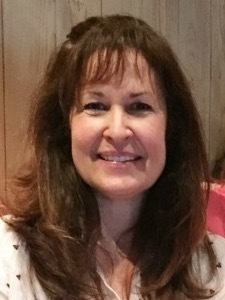 My name is Connie Yow. 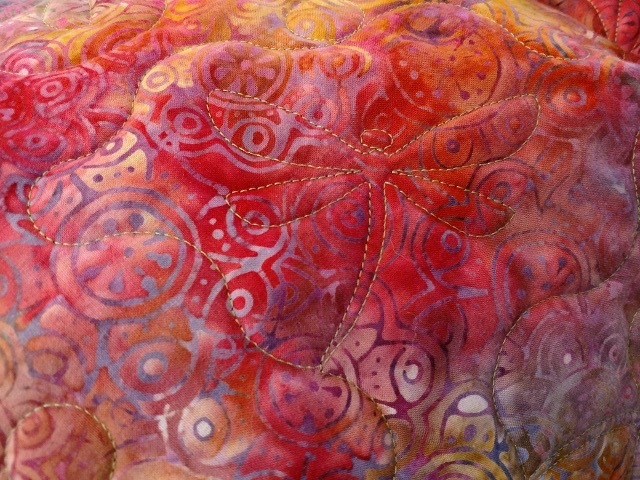 I have been quilting for at least 20 years and I have been sewing most of my life. I love anything creative having to do with fabric. 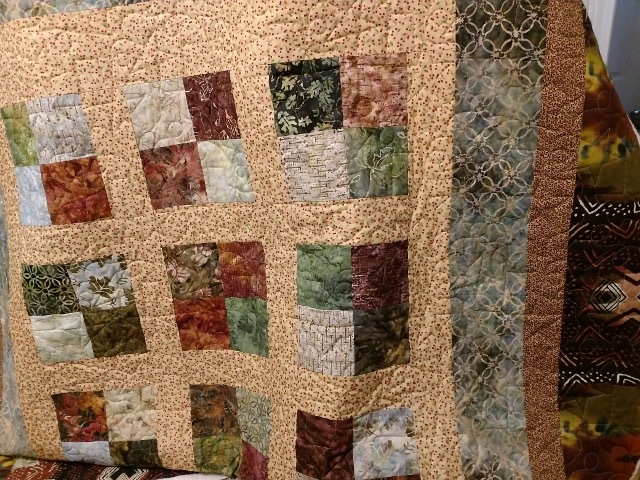 Let me use my experience and skills to turn your quilt top into a finished treasure. I own an Innova Longarm Quilting Machine with AutoPilot Quilting System and Lightning Stitch Regulator. From the moment I was introduced to this machine I loved it because of the beautiful, quality quilting results it produces. With a 12 foot long frame and 26 inch deep sewing zone, it can accommodate any size up to a king size quilt. 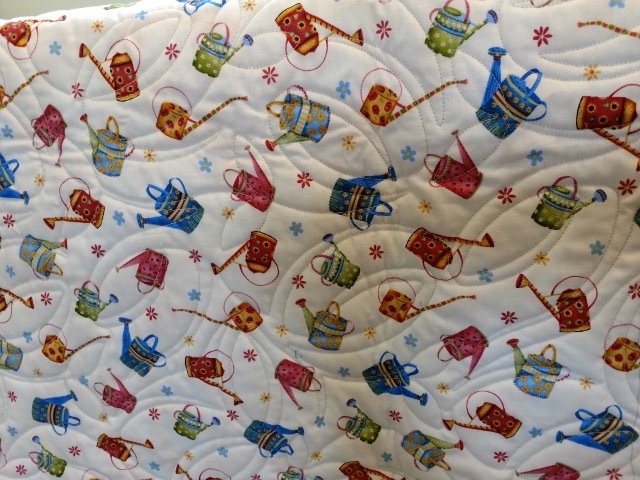 It has great versatility, as it allows me to choose from hundreds of quilting pattern designs for customization of each individual quilt. 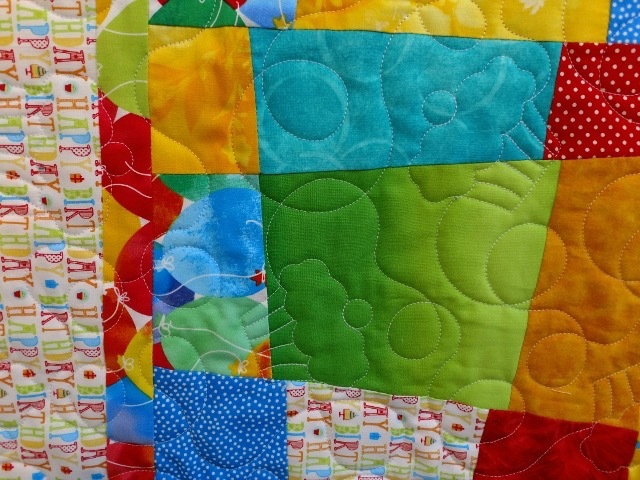 Sew 2gether Quilting Services provides allover Edge-to-Edge quilting designs. This dragonfly is just one of the designs I offer. Patterns range from a simple Meander to high density designs. 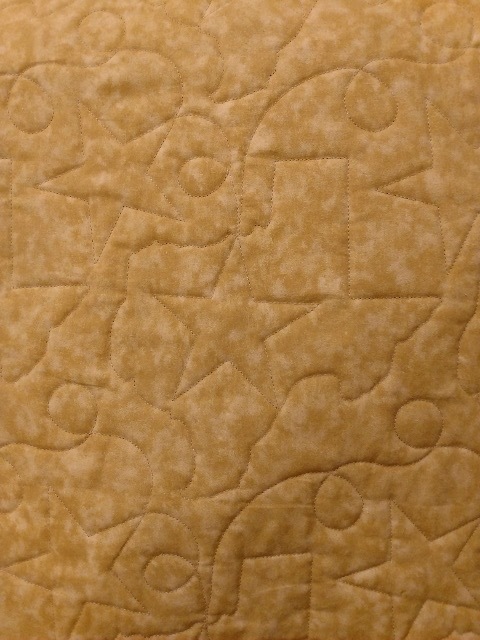 This design is a Texas Star, with an outline of the state, perfect for Western themed quilts. 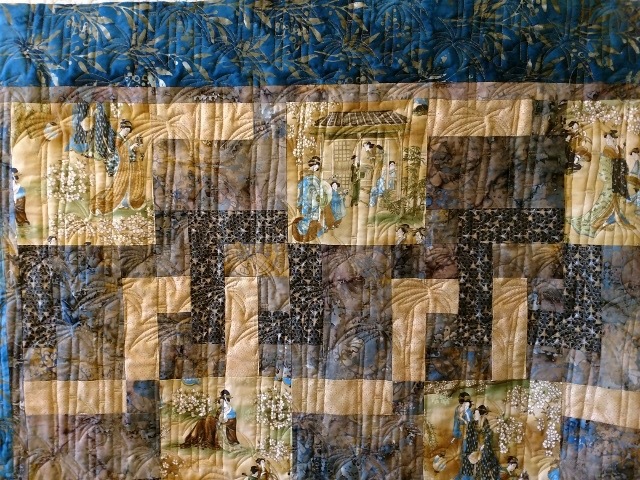 It is the back side of the quilt above. 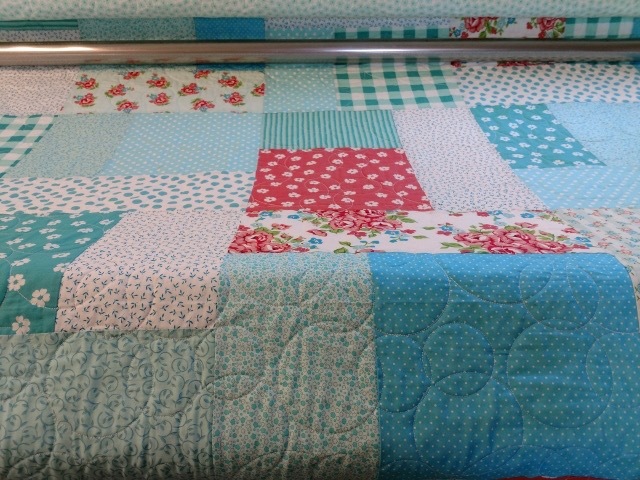 Edge-to-Edge quilting is a very cost effective method of quilting. 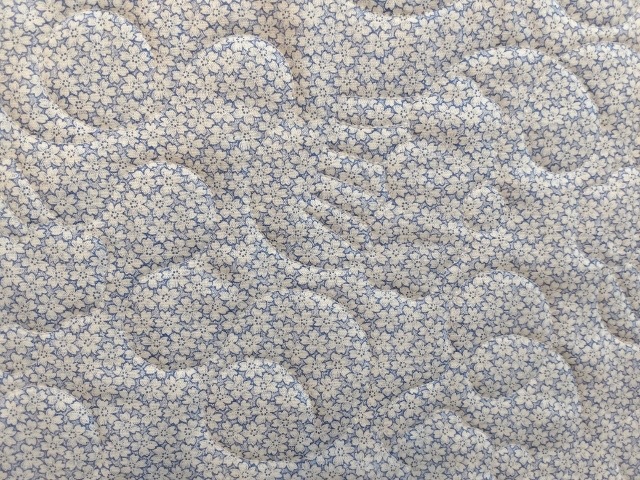 Custom quilting is not currently a service offered. 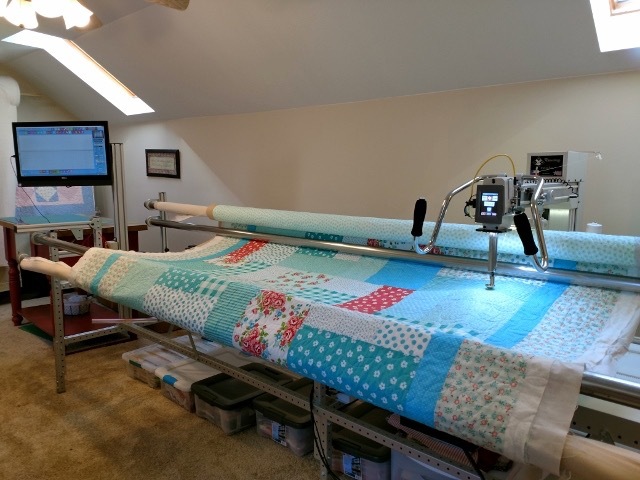 We can set up an appointment over the phone or by email to meet and discuss your ideas and desires for the finished product, such as quilting designs, thread color, batting performance, etc. You are welcome to bring your own batting or you may purchase wool, cotton or cotton/poly blend batting from me. Additionally, I have a wide assortment of colors in high quality quilting thread for you to choose from. 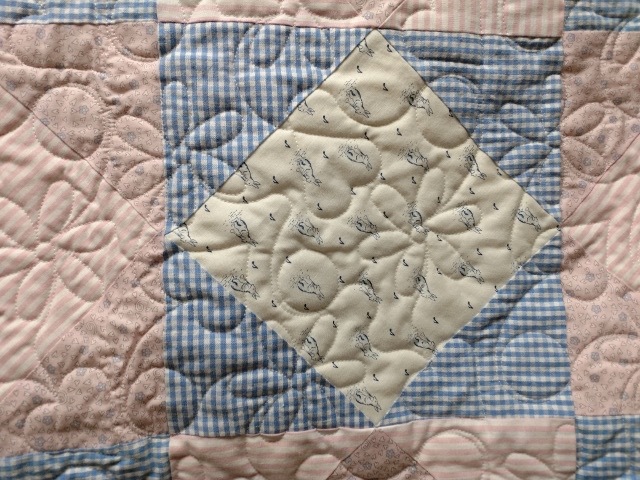 Sew 2gether Quilting Services is located in Burnsville, North Carolina, about 40 minutes from Asheville. As part of my service I offer free quilt top pickup and quilt return at most convenient locations throughout the Greater Asheville Area. I am a member of the Asheville Quilt Guild and Mountain Piecemakers Quilt Guild, as well as the Carolina Mountain Longarmers Association.